There’s been a lot of talk about the government’s mortgage stress test recently—particularly since it was left untouched in last week’s federal budget, despite high expectations of at least some tweaks. But a recent report from Teranet shows some of the tangible impacts the stress test has had on the mortgage market, namely that Canada’s big banks appear to have been the biggest losers from the new rules. The Big 5 banks saw their share of mortgages in Ontario decline to 72.6% in 2018 from 75.3% in 2017, according to Teranet, which heads Ontario’s electronic registry system. On the flip-side, credit unions and private lenders, which don’t fall under the rules of the stress test, came out as the biggest winners, with their market share in Ontario both rising 0.8% over the same time period, followed by Trust companies with a 0.7% share gain. Private lenders accounted for 6.7% of mortgage originations in 2018, up from 4.9% in 2016. In Toronto, private lenders have an even higher market share, at 8.9%. Chris Nichilo, founder of private lending firm Magnetic Capital Group, told the Globe and Mail they’ve seen a significant increase in demand from those unable to qualify for a conventional mortgage under the stress test. He added that the upsurge in demand has allowed private lenders to start dropping rates as funding becomes increasingly available. “It’s becoming a more competitive space—there’s a lot more money in the marketplace than there ever was,” he said. While these market share figures are for Ontario only, they provide a good indication of shifting market share dynamics across the country, given that there are no national statistics on market share for all mortgage lenders. Another fallout of the stress test was a 24% fall in mortgage refinances and switches—or 50,000 mortgages—in just a year’s time, the Teranet report found. “This may be due to mortgagors staying through their term and not exploring options for a refinance or switch as aggressively as they may have done before,” it noted. Mortgage switches in favour of the Big 5 banks fell 5.5 percentage points (8,000 switches) to 54.5% in 2018. Meanwhile, switches from the big banks to other lenders increased 2.1 percentage points to 34.3%. “This, combined with the fact that the Big-5 have lost nearly 3% market share, point to the stress test negatively impacting the Big-5,” Teranet concluded. A separate report penned by Will Dunning, Chief Economist at Mortgage Professionals Canada, highlighted several economic consequences of the stress test, including an 11% year-over-year decline in home resale activity (down 15% from 2016). He also commented on the reduction in home prices seen so far, which CMHC CEO Evan Siddall applauded in a Toronto Star opinion piece. While first-time homebuyers in the country’s most competitive markets will cheer the reduction in prices, Dunning says they come with an economic cost. “Combining the effects of reduced housing activity with the ‘negative housing wealth effect,’ the mortgage stress tests will cause employment in Canada to be at least 200,000 lower than it would otherwise be, once adjustments have fully occurred,” he noted. While the Liberal government ignored calls to tweak the stress test in its budget last week—instead implementing alternative changes to address affordability—the stress test is likely to figure heavily in the upcoming fall election. Opposition parties have already weighed in on housing unaffordability, and specifically the mortgage rules. Conservative MP and Shadow Minister of Finance Tom Kmiec recently penned a piece outlining how the stress test has negatively affected the homeownership aspirations of thousands of young families across the country. “Despite the best of intentions, it is clear that these new mortgage rules have stymied a national housing market in recovery, robbed young families of the ability to step into their first home and spun the wheel of fortune in favour of wealthy cash buyers and leveraged investment funds,” he wrote. Meanwhile, NDP leader Jagmeet Singh has so far proposed two measures aimed at improving housing affordability, including calling on the CMHC to support co-housing as a mortgage option, and the re-introduction of 30-year amortizations, which could be used to lower monthly mortgage payments. Bringing back 30-year amortizations is one of 10 ideas put forth by Mortgage Professionals Canada in its recently released recommendations to policy-makers. 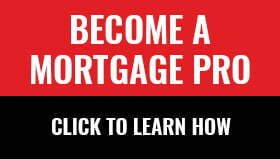 The association also calls for: the de-coupling of the stress test rate from the Bank of Canada posted rate, instead setting it at 0.75% above the contracted rate; allowing refinances on mortgages with up to 75% loan to value (currently the maximum is 80%); and exempting mortgage renewals with new lenders from being subject to the stress test if the mortgage holder has met their mortgage payment obligations for five years of their amortization period. GTA housing market is slowing down because the price are rediculous, and Chinese government controled money out of China, not too much about strength test. Very obvious, if price is much higher than your income, there is nothing you can do. Thanks for Chinese speculators drove up GTA housing price rediculous in a very short time like what they did in stock market! Hope Canadian governments regulate out oversea buyers. They are the root for Canadian housing crisis! Stop letting the Chinese buying condis for their children to live in while they study..sell it back with a large profit..then return home.they should be severely taxed..biggest problem..